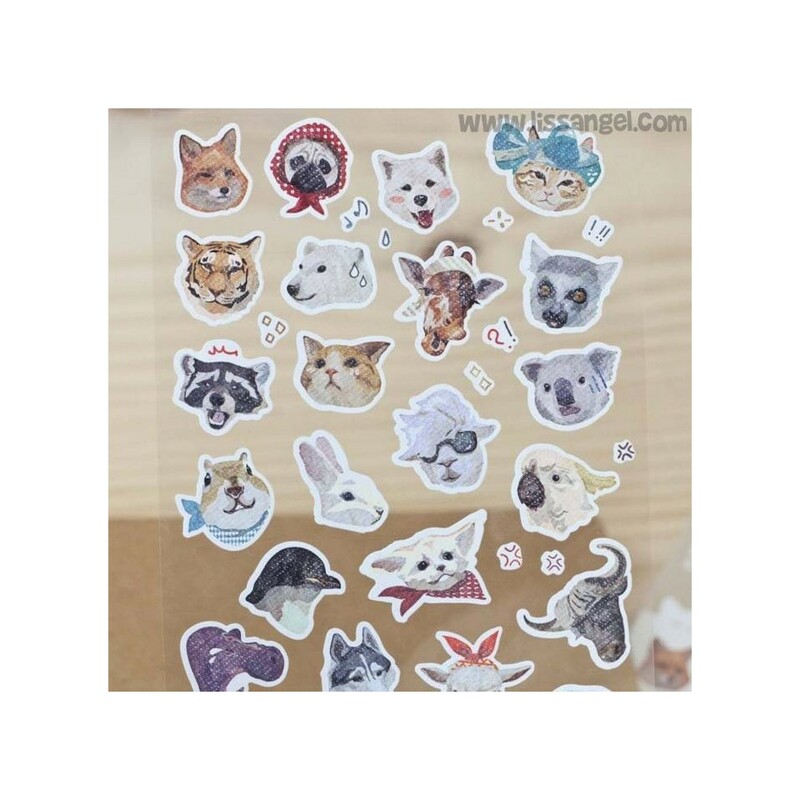 From Korea we bring you these original and fun stickers. 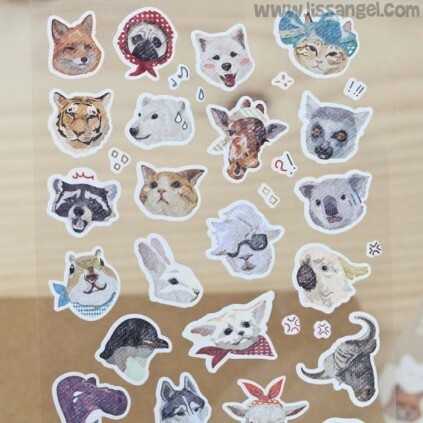 A lot of different animals like tigers, fox dogs, cats, sheep, owls ... and many more, appear with funny faces or dresses. 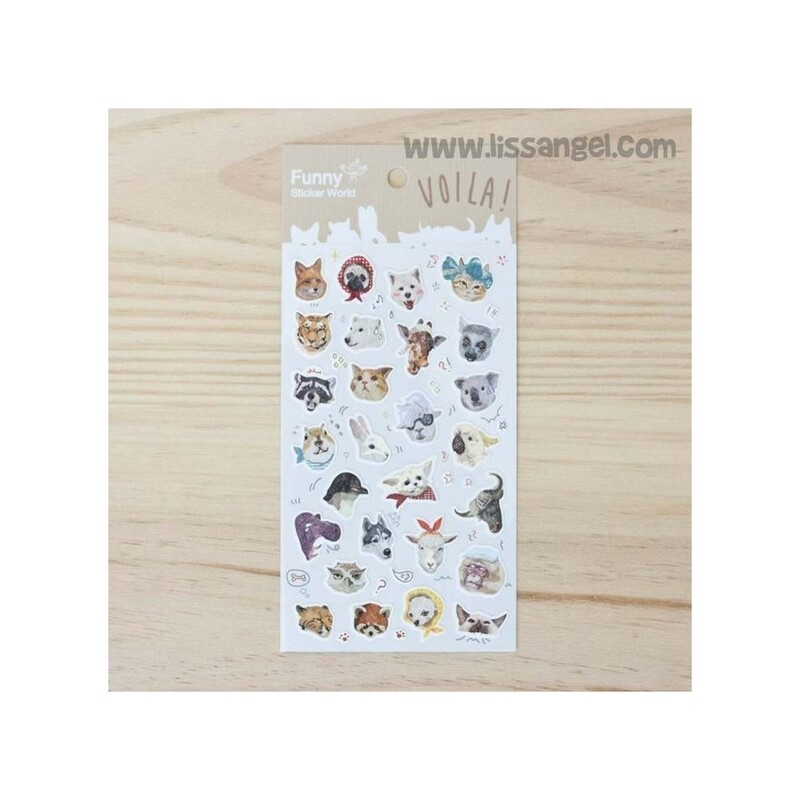 In addition, there are also mini stickers with icons and symbols that will surely be very usefull to decorate anything. 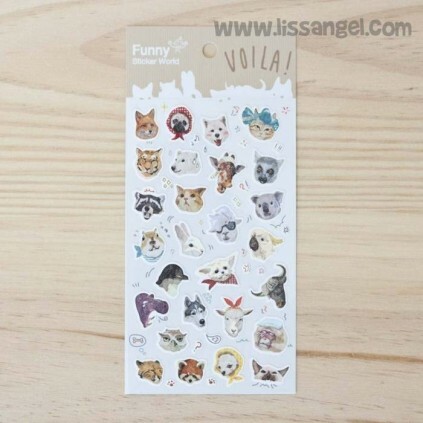 It emphasizes its design of vintage aspect, the image is as worn and its pastel shades remember images and drawings of previous times. 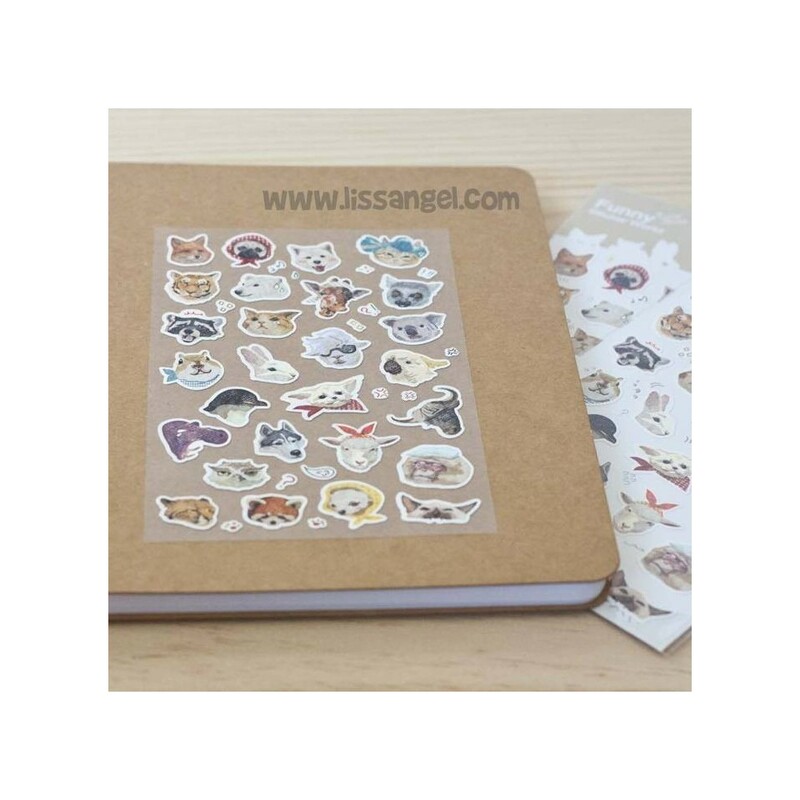 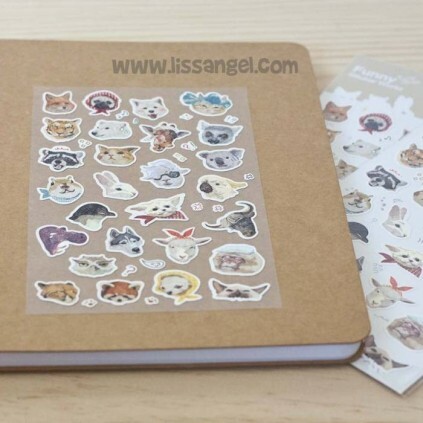 Stickers of original designs and high quality, all of them in our pretty stationery section.